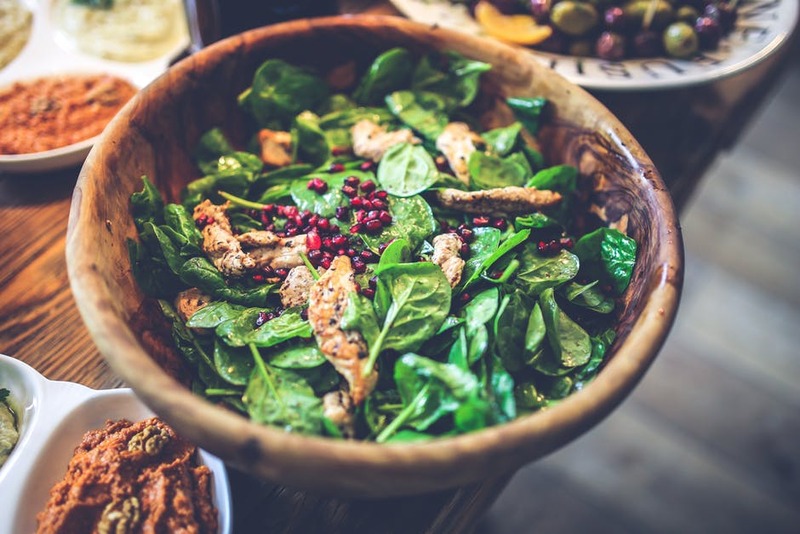 Although greens are aplenty in the summer and spring season, you shouldn’t allow the frigid winter temperatures kick the salad off your menu. Even in the dead of the frosty winter, you can still enjoy nutritional, seasonal and fresh salads any day of the week. It's the time to try unique food produce for that new texture, taste, color, and nutrients in the salads. We have chosen the best four winter salad recipes for you! Do you want something light and healthy on the side for breakfast or lunch? Thai citrus salad is super refreshing when blended with the greens. Start by whisking sesame oil, garlic, lime juice, sugar, and fish sauce in a bowl. Next, mix sprouts, cashews, grapefruit, shallot, pomelo in a large bowl. Finally, get your greens and lime dressing into a large bowl. Don’t forget to toss before serving. You need a few ingredients only to make this salad. Start by pounding the chicken to ensure it's even, then brush it with one teaspoon of oil and sprinkle some salt. Grill the chicken for 4 minutes on each side. Leave it to rest on the cutting board for 5 minutes and chop it into strips. Proceed to whisk a quarter cup of lemon juice, sugar, and Dijon mustard into a large bowl and then season with pepper. Place arugula on a large plate and add chicken, shallots, avocado, beets, and radishes on top. Sprinkle with pepitas, drizzle with vinaigrette and enjoy your scrumptious dinner. This salad is simple, yet zesty and colorful, and is an excellent refreshing side. Don't forget to remove the white pith from the grapefruit as it can be insanely bitter. Has it gotten to that time when you want to enjoy some nice light lunch or dinner? You only need to add some proteins to the salad, and you're good to go. This delicious meal requires cooking in an oven at temperatures as high as 400 degrees F. Toss your beets in some olive oil, sprinkle a pinch salt and pepper and roast for 30-35 minutes. Allow to cool before adding the salad. With the greens in a large bowl, add pomegranate, beets, and gorgonzola cheese and then toss gently. Prepare your dressing and drizzle it over the salad for a delicious meal. While at it, you might be interested in apartments in Wilmington, NC. Our Cypress Pointe pet-friendly apartments will end your search. For more information on the floor plans and the amenities available, call (855) 734-4577.